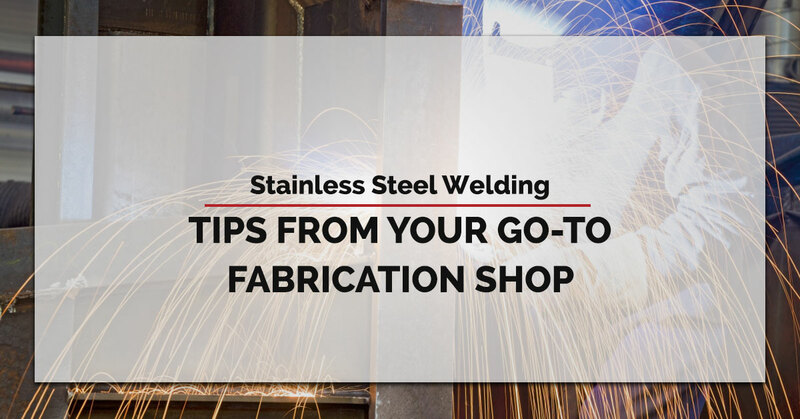 Stainless Steel Welding—Tips from Your Go-To Fabrication Shop | Fort Miller FAB 3 Corp - Metal Fabrication, Robotic Welding, Laser Metal Cutting & More! What do you know about working with stainless steel? If the answer is not a lot, good news! In today’s blog, we here at Fort Miller FAB3 are going to direct our focus to this versatile, low-maintenance, corrosion-resistant metal. If you are in the Saratoga Springs, New York area and in need of metal fabrication, laser or plasma cutting, customized precision CNC machining, or much, much more, contact us! We love working with clients to build custom projects and to help our customers to make their ideas a reality. Learn more about our fabrication services and contact us to schedule a free consultation. Often rolled into sheets, plates, wires, and bars, stainless steel is used in cookware, cutlery, surgical instruments, construction materials, and a whole host of other applications. When it comes to industrial uses, stainless steel is often overlooked by engineers and designers because of its high initial costs. This, however, can be a rash decision. While this initial cost can be steep, stainless steel fabrication yields tremendous long-term value. Ease of fabrication — as metal fabricators, we see this as one of its top advantages. As long as you are using industry-leading technology—CNC machines, robotic welders, laser cutters, and more—stainless steel is quite easy to work with. It can be cut, bent, welded, and made to your specifications with relative ease. Durable and resistant—not only is it a tough metal that is difficult to scratch and nick, but because of its chromium composition, it is also resistant to corrosion when exposed to wet environments. However, when it comes to acid exposure, certain types of stainless steel may suffer from corrosion. Additionally, stainless steel with high chromium and nickel-alloyed grades can be remarkably resistant to heat and fire. Long-lasting—whether it’s a stainless steel appliance or construction material, stainless steel has proven to be a long-lasting material. On top of this, maintenance for stainless steel is relatively easy and effective. This is a detail that should not be left out of the decision-making process. Recyclable—whether you are a consumer or a manufacturer, it is important to be cognizant of the impact your materials have on your community and planet. One of the great things about stainless steel is that it is 100 percent recyclable. In fact, over 50 percent of stainless steel comes from old scraps that have been melted and reused. Now that you have learned a little about stainless steel fabrication, are you eager to learn how you can reap some of its benefits? If so, contact us! We have the experience, knowledge, and technology to work with you to find the most affordable and efficient solution for you. Call us today for your free consultation!